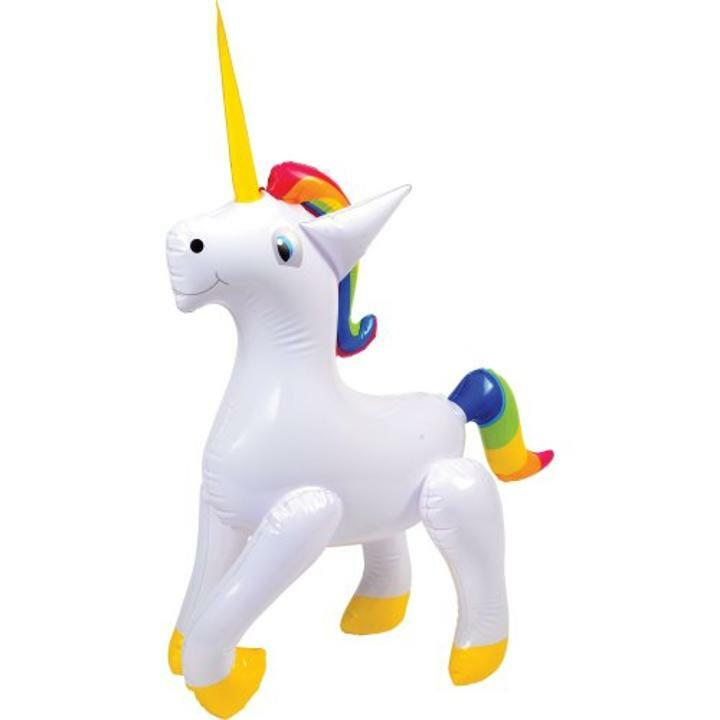 Give your party decorations a mythical upgrade with this unicorn inflatable! Made of vinyl, with a rainbow mane and matching tail, this unicorn will brighten up your decor or use them as a party favor giveaway for guests young & old. Whether planning your princess's next birthday or simply looking for a theme for your event, unicorns are the hot party trend this year! L: 2.0 in. W: 7.2 in. H: 7.8 in.